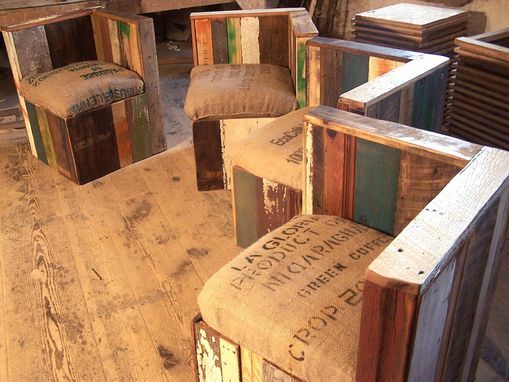 Made from reclaimed wood and upcycled coffee bean bags from around the world, our larger than life lounge chair is the perfect accent piece for your upscale flat, downtown loft or college dorm. This modern, hip design is both comfortable, cool and unique - a great fit for any urban lifestyle! 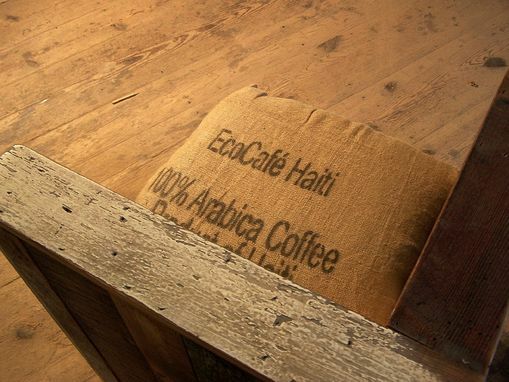 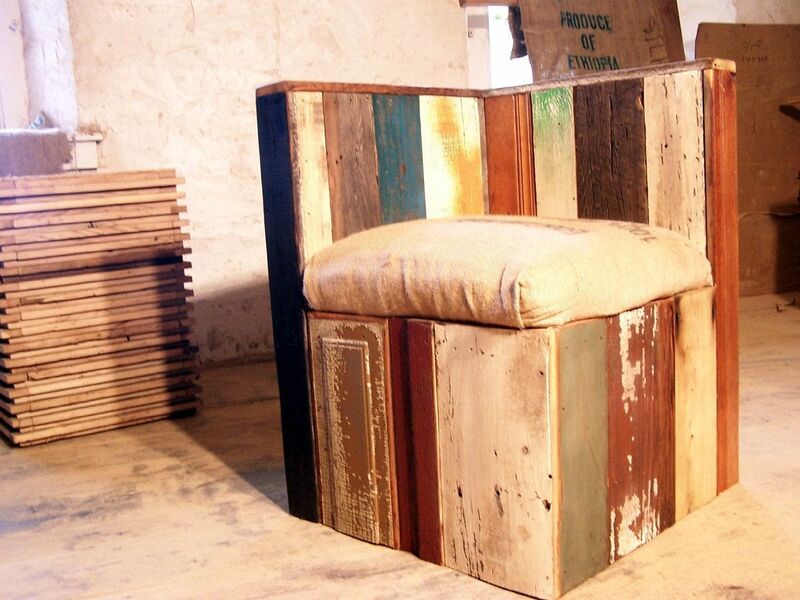 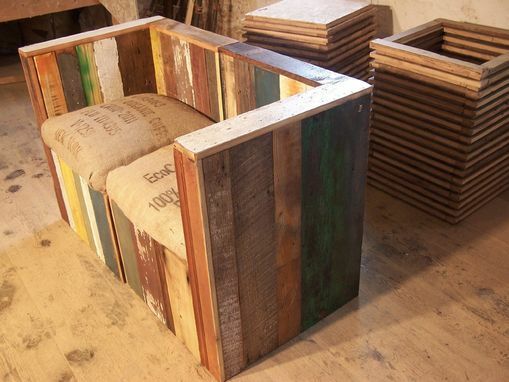 These are the ultimate in reclaimed, hipster style, featuring wood salvaged from factories, warehouses, old barns, shipping pallets, houses and even some vintage doors. 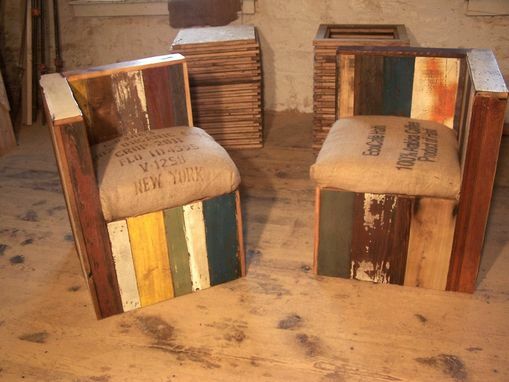 Shown here as a corner chair -- get 2 and you can also use them together as a couch or loveseat!